In March 1863, a New York City coroner held an inquest on the death of a three-year-old child living on 83rd street between Eleventh and Twelfth Avenues. As reported in the New York Times, Mary Nell, the child’s mother, had been told by a previous tenant that there were fairies about in the house where she lived, and growing up in Ireland she had learned this was a sign that a child in the household had been exchanged for a fairy child. The prescribed test for a suspected changeling was to heat the blade of a shovel until it was red hot and have the child sit on it. If a fairy child had been substituted for the true child, it would fly away. Ms. Nell performed this test on her child (gender not specified) without her husband’s knowledge, and the resulting burns were so severe that the child died a week later. Mr. Nell testified that “for some time past he had occasionally thought his wife was insane, she acted so strangely.” The coroner decided to hold the mother in custody until the question of her insanity could be determined. There are few events in life more anxiously anticipated than the birth of a child. The arrival of a healthy baby brings the prospect of happy years ahead and the fulfillment of many parental dreams. But childbirth has never been an easy passage. Prior to the twentieth century, both maternal and infant deaths were common, and after they arrived, children frequently succumbed to disease. Half of Martha Washington’s four children lived to the age of five, and only one of Mary Todd Lincoln’s four children achieved the age of twenty. Although in much of the world today maternal and infant mortality are less of a problem than they once were, many children continue to be born with abnormalities and developmental problems that profoundly alter their parents’ expectations. They say they are skinny and always wailing and such milk-drinkers that four nurse maids do not supply sufficient milk to feed one. These appear to have remained with their nurses for many years, and afterward to have flown away, or rather vanished. (Cited in Green 2016, 114). Stolen babies were the subject of common legend in England, Germany, and Scandinavia, and both Martin Luther (1483–1546) and the Grimm brothers reported cases of changelings (Ashliman 1997). 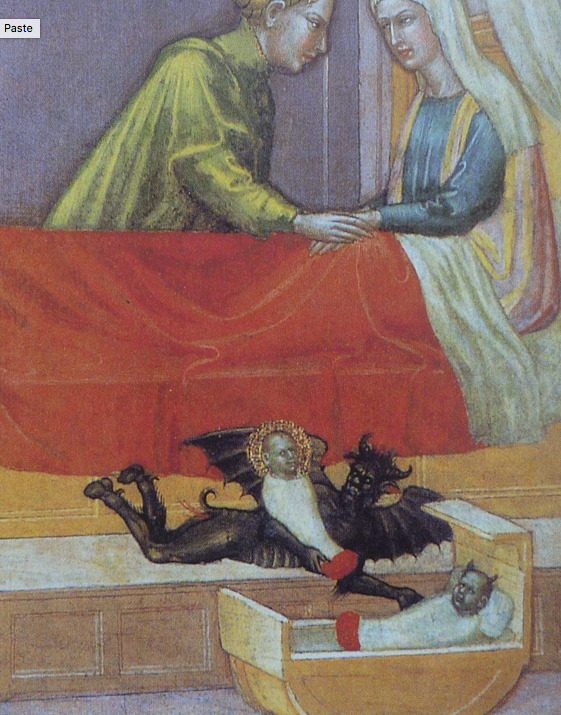 The changeling legend was integrated into Luther’s Christian belief, and as a result, counterfeit children were said to have been left by the devil. Other traditional versions of the myth implicated witches, fairies, elves, incubi, succubi, trolls, water spirits, dwarves, or demons. Changelings were also described in the Malleus Maleficarum (Hammer of Witches), a popular manual on witchcraft, the original 1486 edition of which was written by German Catholic clergyman Heinrich Kramer (Kramer and Sprenger 1928). The Malleus Maleficurum advocated the extermination of witches and had a profound effect on witch hunting and the torture and murder of women. For almost two hundred years, it was the second most popular book in Europe after the Bible (Guiley 2008). Fictional accounts of changelings have been written by the Swedish Nobel Prize winning author, Selma Lagerlöf (Bortbytingen 1915) and contemporary American novelist Victor LaValle (The Changeling 2017). 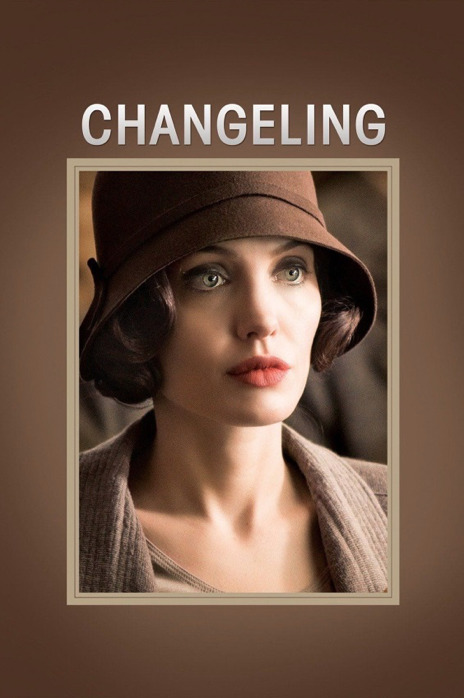 A 1980 horror film The Changeling starred George C. Scott under the direction of Clint Eastwood, and the 2008 Academy Award nominated film Changeling starring Angelina Jolie (also directed by Clint Eastwood) was based on the highly publicized late-1920s Los Angeles case of Christine Collins, whose nine-year-old son Walter disappeared. [Spoilers.] After several months without any progress, the L.A. Police claimed to have recovered Walter in Illinois. The boy was brought to Los Angeles, but Ms. Collins soon recognized that he was not her son. Far from being a supernatural abduction, the changeling in question admitted he had posed as Walter Collins in the hope of going to Hollywood to meet the movie star Tom Mix. Subsequent detective work suggested that the true Walter Collins was one of the victims of the Wineville Chicken Coop Murders, although his mother never accepted that explanation. Circumstances of the parents: In most cases, changelings arrive in homes that are not entirely happy to begin with. They come to widows and widowers, single mothers, and others involved in some form of strife. Leaving the child alone. Stories often involve children being left alone, even for a short time. Constant vigilance is commonly recommended as a defense against babies being switched. Parents recognize the change. Like Christine Collins, typically parents see a change and claim the child is not theirs. Physical changes. The changeling is often described as ugly, deformed, shriveled up, and shaggy, but it always still bears a resemblance to the original child. Behavior. Changelings are said to be always crying, never satisfied with food, and wailing at night. But the children are also often described as very changeable in their behavior, displaying a sweet and compliant demeanor with others when their parents are not around. Scapegoating the changeling. Many of the stories suggest that the changeling has brought a general cloud over the household. Disappointments and misfortunes are blamed on the changeling. Lack of growth or development. Despite reports of eating large quantities of food, the child fails to grow. In some cases, not gaining size at all over the course of an entire year. Consulting with a wise person. Often the parents consult with someone with greater knowledge who advises them as to what to do next. As pointed out by Ashliman (1997), this provides a sense of shared responsibility for the actions taken by the parents. Tricking the changeling. In many of the stories, parents are advised to trick the changelings into revealing their true fairy or demon nature. Special foods are sometimes prepared to be given to the child, but often horribly abusive tests are recommended, such as throwing the child into a fire, burning with a hot poker, placing them on a red-hot griddle, withholding food, or administering beatings. Mary Nell’s red-hot shovel was not an anomaly. Changeling betrays self. Often during these tests children are said to reveal themselves to be much older than their chronological age. On some occasions this admission is made to another person not the parents. Banishment of the changeling. Sometimes in the course of the test or as a separate act, the family rids itself of the imposter child. The child is said to have gone up the chimney or to have been reclaimed by the fairy mother. Return or not of the original child. In some cases, the only outcome of the test and banishment is the disappearance of the changeling. In other cases, the original child returns, either immediately or after some time. Finally, in some cases, the banishment fails and the family makes a positive adjustment to the changeling. Because the fear of stolen children was so rampant, many precautions were proposed for warding off demons and trolls and preventing the theft of a child. In his 1835 book Deutsche Mythologie, Jacob Grimm recommended that babies be constantly watched over: “Women who have recently been delivered may not go to sleep until someone is watching over the child. Mothers who are overcome by sleep often have changelings laid in their cradles” (cited in Ashliman 1997). A number of religious protective measures were employed. Catholics tended to use holy water, crucifixes, and representations of saints, whereas Protestants would often place the Bible or pages of the Bible in the child’s crib. In both sects, an unbaptized child was considered to be at risk (Ashliman 1997). Once a child was identified as a changeling, the diagnosis often served as a justification for the kinds of horrible treatment described by Munro (1997) above. One of the more famous Grimm brothers’ stories includes many of the elements described by Munro (1997), including the method of banishment. The basics of this case are that, in 1580, a mother who was employed in a nobleman’s field during harvest time placed her week-old infant in a patch of grass while she worked. When she returned to nurse her baby, it drank milk like no child she had ever seen before, and she was convinced the infant was not hers. 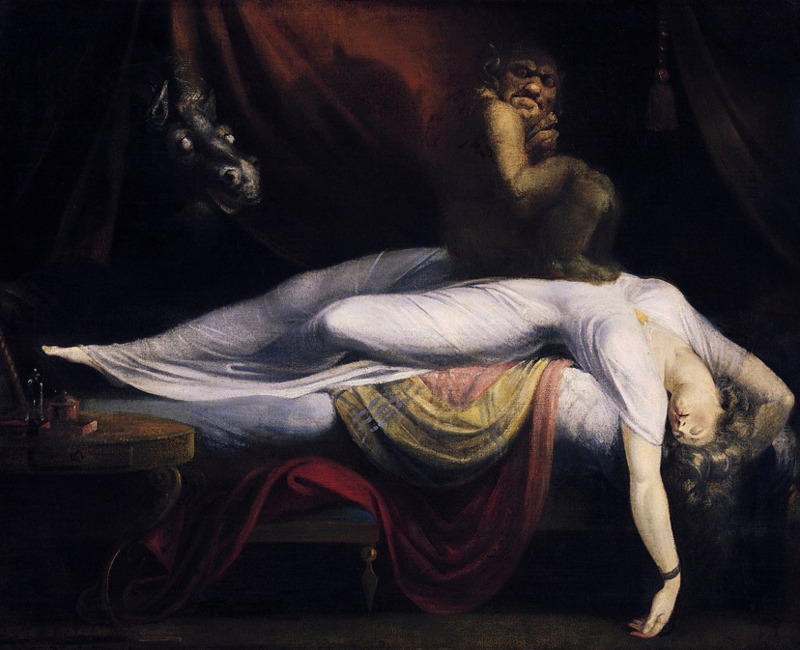 At the suggestion of the nobleman, she beat the child with a switch until it cried out, at which point the devil appeared and returned her original child (German Legends , no. 88, cited by Ashliman 1997). This kind of treatment did not only occur in books. Eighteenth century European court records show that many parents who were charged with abandonment, manslaughter, and neglect claimed their children were changelings left by demons, fairies, or the devil (Froud 2017). It is likely that before the nineteenth century, many conditions that we now known to be medical—rather than supernatural—could have prompted parents to think their children were changelings. As mentioned above, the typical stories point to a condition we know as failure to thrive. This phrase describes a general outcome—not gaining weight or developing normally—that can result from a variety of underlying disorders, including cow’s milk intolerance, celiac disease, and inflammatory bowel disease (Marcovitch 1994; Schwartz 2000). However, the changeling legend was most widely believed in pre-scientific times when witches, the devil, and fairies were thought to be active participants in everyday life, and the medical science had not yet offered an alternative explanation for these conditions. In addition to failure to thrive, before the development of modern medicine and psychiatry, it is very likely that any number of childhood disorders were interpreted as stolen children. Several modern authors have suggested that, in pre-scientific eras, children born with autism and other developmental disorders were probably considered changelings (Ashliman 1997; Wing and Potter 2002). By the late nineteenth century, science had begun to provide non-supernatural explanations for children who did not thrive or otherwise did not meet the normal expectations for a healthy infant, and belief in changelings faded. Although fairies, incubi, witches, and demons play a much smaller role in our world today, we are far from free of the changeling impulse. If anything, our expectations about childbirth and parenthood are greater than those of couples in the middle ages. When children don’t meet these expectations, parents sometimes find a different demon to blame. The anti-vaccination movement attributes autism to a greedy pharmaceutical industry supported by a government conspiracy. Most cases of autism involve developmental delays that begin within the first year of life, but a small percentage of autistic children show a regressive form of the disorder marked by normal development in the first years followed by a decline. Parents report that their children have changed and can no longer perform as they once did, in some cases losing language skills they previously had (Pickles et al. 2009; Taylor et al. 2002). Some of these parents have attributed this regression to the toxic effects of vaccines, but research does not support this conclusion. For example, Taylor et al. (2002) found no change in the rate of regressive autism after the introduction of the measles, mumps, and rubella (MMR) vaccine in the United States. In other contemporary cases, parents of developmentally disabled children reject the diagnosis of autism and claim their children have a physical—rather than a developmental—disability. They are delighted to find out that with the help of facilitated communication (FC) or a variant of FC, such as rapid prompting method, their children’s normally functioning level is revealed in messages typed on keyboards or tapped out on letter boards. The children’s hands may require guiding by verbally competent facilitators to get the sentences typed out, but the result is a remarkably fluent language. A devastating condition is avoided. Unfortunately, the overwhelming evidence of research on facilitated communication shows that the language-competent adult facilitators are unconsciously typing out the messages, and the children are not communicating at all. It is a Ouija-like phenomenon. Although autistic children are rarely called changelings today, they are sometimes subject to banishments that are, in their own way, almost as cruel as those administered in the Middle Ages. The parents of nonverbal children who embrace facilitated communication unwittingly turn their children into marionettes. Furthermore, because these children often use facilitated communication at school—and even in college—they are denied years of evidence-based education that could help them become truly independent. For so many of us, the dream of a healthy baby to love and hold is central to the story of our lives. Children give us meaning and purpose, and if all goes well, these little people offer us the prospect of a kind of immortality. Unfortunately, sometimes the child we get is not exactly as we imagined, and there are challenges we never thought we would have to face. Today, genetic counseling makes it possible to avoid many unwanted childhood conditions, and when a baby arrives that is not exactly what the parents hoped for, science provides a natural explanation—if not always a cure—for what has befallen the family. It is understandable why many parents might have the urge to deny the truth and declare their child a kind of changeling. But the challenge of parenthood is to recognize our children for who they are and do what is necessary to give them the best life they can possibly have. Ashliman, D. L. 1997. “Changelings.” Accessed February 19, 2018. Available online at http://www.pitt.edu/~dash/changeling.html. Froud, Mark. 2017. The Lost Child in Literature and Culture. New York: Springer. Centers for Disease Control and Prevention. 2006. “Deaths Associated with Hypocalcemia from Chelation Therapy — Texas, Pennsylvania, and Oregon, 2003—2005.” Centers for Disease Control and Prevention,. Accessed February 21, 2018. https://www.cdc.gov/mmwr/preview/mmwrhtml/mm5508a3.htm. Green, Richard Firth. 2016. Elf Queens and Holy Friars: Fairy Beliefs and the Medieval Church. Philadelphia: University of Pennsylvania Press. Guiley, Rosemary. 2008. The Encyclopedia of Witches, Witchcraft and Wicca. New York: Facts on File, Inc.
Marcovitch, Harvey. 1994. “Failure to thrive.” BMJ: British Medical Journal 308, no. 6920: 35–39. Munro, Joyce Underwood. 1997. “The Invisible Made Visible: The Fairy Changeling as a Folk Articulation of Failure to Thrive in Infants and Children.” In Narváez, Peter. The Good People: New Fairylore Essays. Lexington: The University Press of Kentucky : 251–83. Ozonoff, Sally, Brenda J. Williams, and Rebecca Landa. 2005. “Parental report of the early development of children with regressive autism: the delays-plus-regression phenotype.” Autism 9, no. 5: 461–486. Pickles, Andrew, Emily Simonoff, Gina Conti‐Ramsden, Milena Falcaro, Zoë Simkin, Tony Charman, Susie Chandler, Tom Loucas, and Gillian Baird. 2009. “Loss of language in early development of autism and specific language impairment.” Journal of Child Psychology and Psychiatry 50 no. 7: 843–852. Schwartz, I. David. 2000. “Failure to thrive: an old nemesis in the new millennium.” Pediatrics in review 21 no. 8: 257–264. Sinha, Yashwant, Natalie Silove, and Katrina Williams. 2006. “Chelation therapy and autism.” BMJ: British Medical Journal 333 no. 7571: 756. Taylor, Brent, Elizabeth Miller, Raghu Lingam, Nick Andrews, Andrea Simmons, and Julia Stowe. 2002. 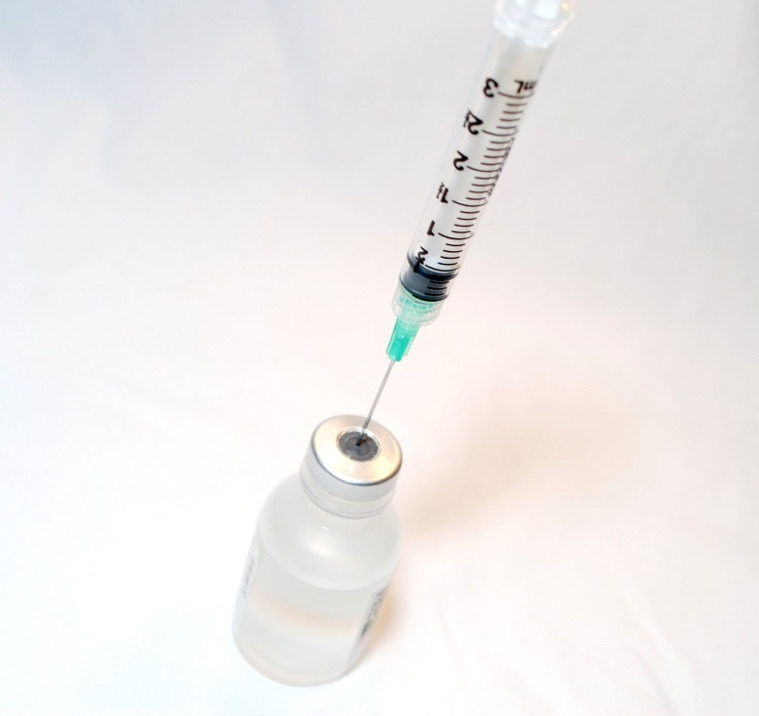 “Measles, mumps, and rubella vaccination and bowel problems or developmental regression in children with autism: population study.” BMJ: British Medical Journal 324 no. 7334 : 393–396. Wing, Lorna, and David Potter. 2002. “The epidemiology of autistic spectrum disorders: is the prevalence rising?.” Developmental Disabilities Research Reviews 8 no. 3: 151–161. Woznicki, Katrina. 2005. “British Boy Dies After Chelation Therapy for Autism.” Medpage Today. August 26. Accessed February 21, 2018. Available online at https://www.medpagetoday.com/neurology/autism/1616. “A remarkable case of hallucination. Mother burns child to death.” New York Times, March 18, 1863, 8. Accessed at: http://www.nytimes.com/1863/03/18/archives/local-intelligence-the-atlantic-telegraph-and-its-prospects.html. Interestingly, a number of the original texts cited overly doting parents as one of the precipitants of a changeling child (e.g., Kramer and Sprenger 1928).